Cymap Electrical is a fully 17th edition amendment 3 calculation tool that allows users to work independently or plug into the BIM level 2 process. Data can be entered in a schematic format or – uniquely – using a scale drawing. Our wiring calculations link with the lighting package, which uses the radiosity based method of calculating the illumination of 3-dimensional spaces. Cymap is renowned for ease of use, so whether you are a consultant, contractor, or part of a facilities management team, Cymap is the software for you. 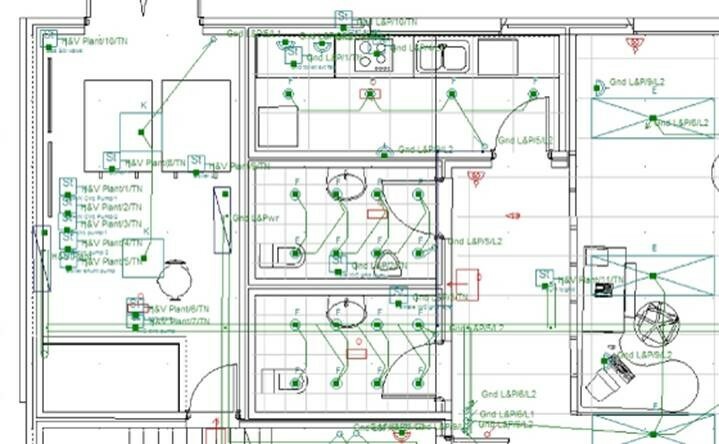 A Wiring schematic can be created independently of any building modelling with unlimited number of boards with multiple supply analysis included as part of the design ethos. If the workflow is such, distribution boards can be imported from the floorplan based Electrics program to either populate the schematic with boards that can be cabled up, or as a complete schematic if boards are linked in the electrics program. As changes are made to the building model, boards can be updated to reflect the amendments. Full earth loop and short circuit discrimination calculations are standard, based on an extensive range of editable manufacturers switchgear with an export to a simple circuit by circuit discrimination analysis package, if required. All cable sizing analysis engineers require can be undertaken easily and quickly on the schematic with fault diagnosis easily manageable for fault rectification. 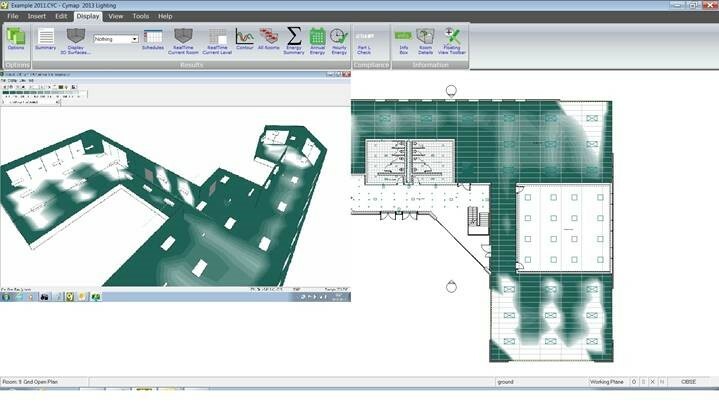 The Cymap lighting program can be utilised for single room, external floodlighting or building model based lighting analysis whether daylighting, artificial lighting or emergency lighting is the requirement. The building model can be created by importing Revit and other 3D models, or the user can model the building separately in the absence of any 3D interfacing. The lighting design tool complies with LG7 Part L2 and LENI enabling efficient design important to meet today’s sustainability needs. Industry standard photometry can be uploaded to enable manufacturers fittings to be utilised. If required light fittings can be exported to Revit for further co ordination or analysis as part of the BIM process. The Cymap Electrics enables users, within the building environment , to connect up existing light fittings from the lighting program via a symbol library, to populate distribution boards swith circuit loads and cable lengths. 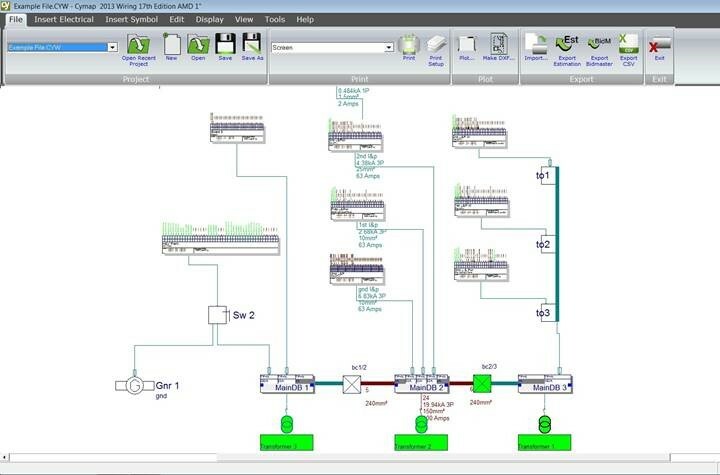 Boards can be connected up to then enable the automatic creation of schematic layouts for further cable analysis in the Wiring program mentioned above. 2D drawings can be exported to standard 2D CAD to produce layouts. Fire alarm audibility and Part L lighting controls also feature. 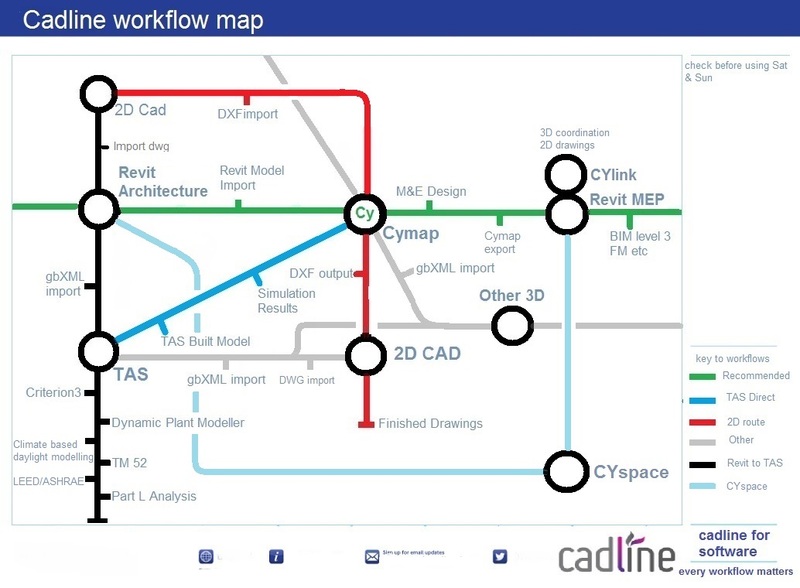 Depending on the project and workflow requirements Cymap can be utilised either inside or outside the BIM level 2 workflow. Basic 2D requirements can still be met utilising traditional non BIM workflows. To meet the demands of BIM level 2 and collaborative projects these workflows can also be utilised. We all recognise the London Underground map where we decide on our destination, where we get on and via which stations we pass through which we can relate to the products and workflows. Cymap is fully compatible with versions of Windows up to and including Windows 10 in 32bit and 64bit modes.